Oh Canada! is a video installation that responds the environmental effects of tar sand extraction on the public realm. 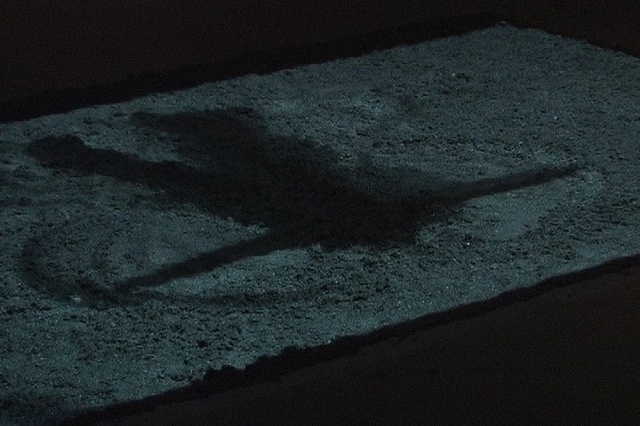 In this piece, the figure of a child making snow angels is projected onto a large pile of tar sand on the gallery floor.